Kaprun and Zell am See are located in the heart of the Alps in the province Salzburg, they sit close together in a spectacular mountain in one of the prettier ski areas of Austria. The holiday region of Zell am See Kaprun has over 14,000 beds and two million overnight stays are recorded each year, making it one of the more popular holiday destinations in Austria. There is an abundance of fantastic views, beautiful flora and fauna in an Alpine setting. The Lake Zell offers opportunities for relaxation and well-being, golfing, hiking, and bathing are at the focus for the summer time program, but visitors can choose from many more activities as well. During the winter seasons, 56 cable car and lift facilities take visitors up onto the mountains, with 136 kilometers of pistes. Skiers and snowboarders enjoy the perfect conditions of the Kitzsteinhorn Snow-park on the 2,600-metre-high glacier plateau. 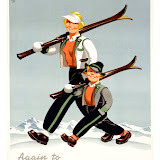 Even in the summer you there is the possibility of skiing down the glacier. 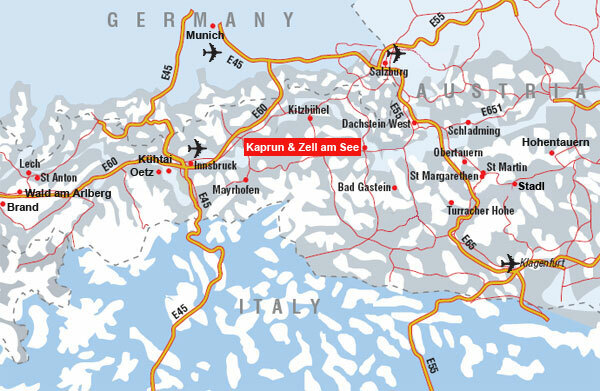 Both resorts Kaprun and Zell are family friendly. 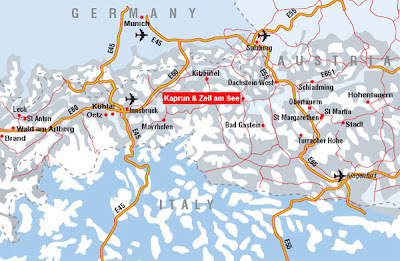 Location map of Zell am See and Kaprun. The lakeside, ancient market town of town of Zell am See and the alpine village of Kaprun, are located about 7 kms ( 4 miles) apart, next to the Hohe Tauern mountain range, with the key ski mountains peaks of Kitzsteinhorn 3.203 m, complete with glacier. 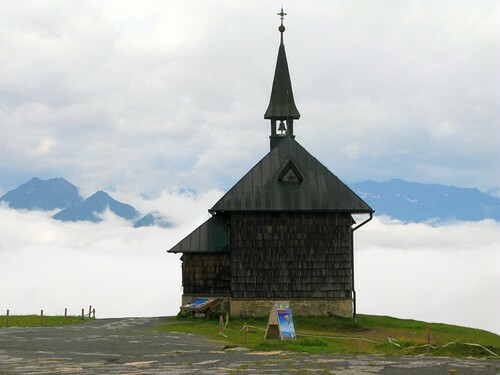 The Maiskogel at 1.675 m both located above Kaprun, back across the valley above Zellamsee is the Schmittenhöhe / Schmitten which rises to 2.000 metres, and is topped by the Empress Elizabeth Chapel. 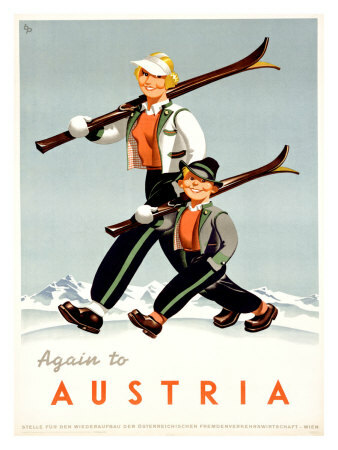 These are two charming resorts come with distinct traditional Austrian features. Both resorts are well linked by bus and have access to the 138km of ski runs, in three distinct ski areas, offering a variety of changes in scenery, altitude and attitude! For those learning to ski there is a choice of ski schools with easily accessible nursery slopes, plenty of intermediate slopes and of course challenging black runs and with off-piste areas. Spa / wellness yes Tauern Spa Kaprun opened its doors in November 2010. Apartment Rental Accommodation in the Zell am See - Kaprun area?